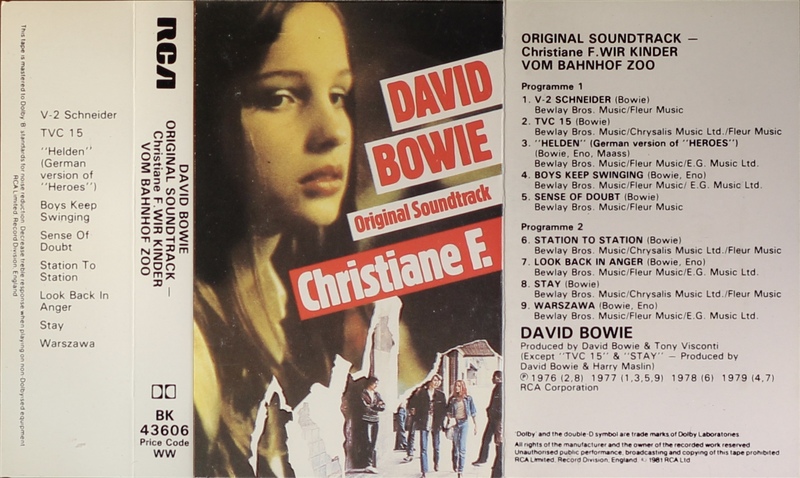 Christiane F: UK; RCA, BK 43606; 1981. 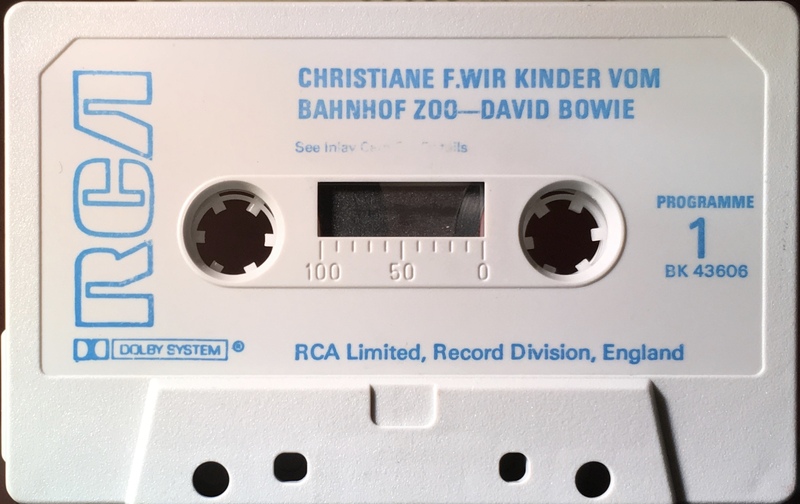 ‘Original Soundtrack – Christiane F. Wir Kinder Vom Banhof Zoo ’. Full panel cover photo with white spine and rear half-panel and inner panel. Folded, glossy, thick paper with track list on the rear and inner panels. Inside panels are blank. ‘WW’ price code on spine. The cover photo is similar to the UK album sleeve but the RCA is missing from top right. Blue ink printed directly onto grey shell with a hollow blue RCA logo. 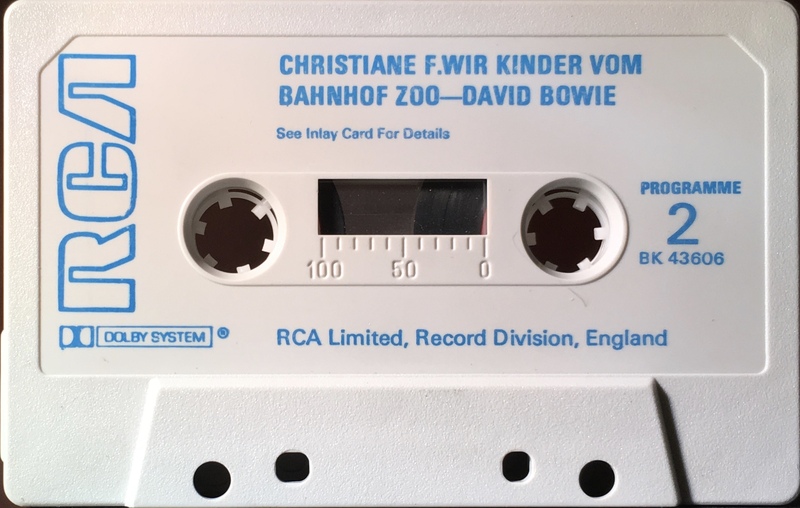 Side 2: Station To Station; Look Back In Anger; Stay; Warszawa.